When you’re ready to finish your basement, you need to consider several factors—including the right walls for your space! Basements are notorious for being damp, dark, and prone to mold growth, and Matrix Basement Systems can ensure that you get lifelong value and style in the lowest level of your home with our innovative basement wall assembly in Michigan. Since 2009, our team has transformed over 3,000 basements, and our basement walls lead the industry in outstanding durability, style, and quality. Figuring out how to finish a basement so that it is a beautiful, water resistant space is a job best left to the professionals, and Matrix Basement Systems has the state-of-the-art products and services you need for guaranteed results. The walls we use in basement finishing consist of closed cell spray foam, metal studs, and purple board to effortlessly turn your space into a functional, dry, and comfortable environment. Water: Flooded or damp basements can be a nightmare, and our walls are designed to seal off your basement and fight back against moisture. Mold and Mildew: Our basement walls is impervious to mold and mildew, making your basement a safer, healthier place to spend your time. Sound: Whether you turn your basement into a bedroom or a theatre room, you won’t have to worry about irritating outside sounds with our insulated walls. Impact and Fire: With highly durable construction, every basement wall assembly we install can handle years of wear and tear, while also being resistant to fire. Learn More About Our Industry-Leading Basement Wall Assembly Today! 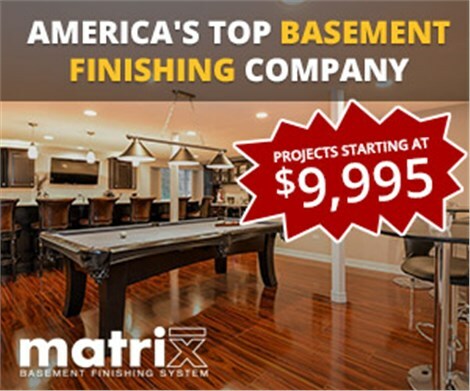 As a top choice for basement remodeling in Michigan, the team at Matrix Basement Systems can transform any basement into a luxurious, protected space that adds value to your home. Just give us a call today to learn more about our innovative wall assembly systems, or fill out our online form to request a free, no-obligation estimate.